Autumn is the favorite season for most horror movie fans. As Halloween approaches - fittingly, you might say, at the end of October’s life - scary movies debut and horror film festivals open their dungeon doors. That’s changing. Summer is giving Halloween a run for its money. That’s when independent thriller lovers and devotees of bone-chilling ghost stories check in to Northeast Ohio’s Horror Hotel Convention. The festival, now in its fourth year, takes place the first weekend of June. This year's festival comes to town June 5 to June 7 at the Clarion Inn & Conference Center in Hudson, Ohio. 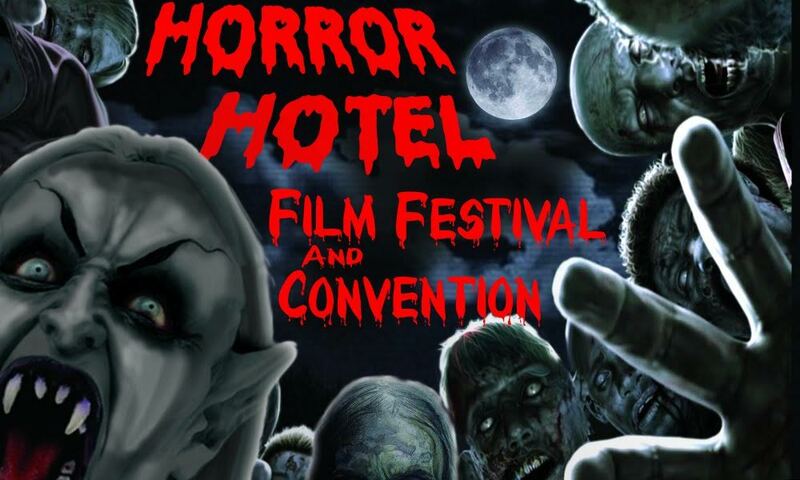 Midwest Movie Maker (MMM): Tell us about the Horror Hotel Convention. What’s it all about and what does it celebrate? 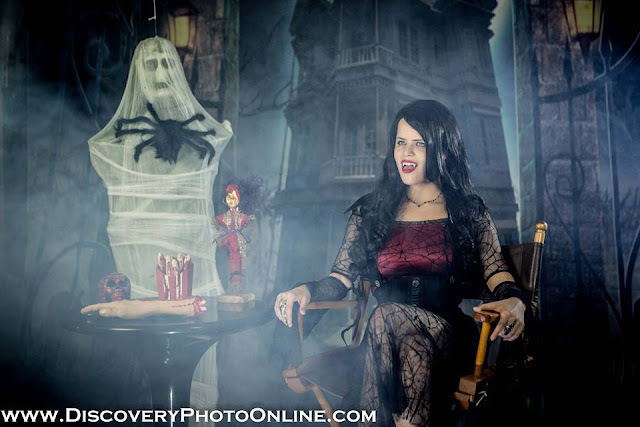 Kristina Michelle (KM): Horror Hotel is an annual film festival and convention celebrating the best indie horror and sci-fi films currently on the festival circuit. We are all about the independent filmmaker, getting exposure for their projects and connecting them with an audience. MMM: What makes it unique from similar conventions? KM: The focus on the filmmakers is probably what makes us stand apart from the rest. While we are open to the general public, the majority of attendees are people working in the film industry. It's both an opportunity for the film professional to network and the general public to gain an inside look into the indie filmmaking process. A lot of horror events draw specifically on mainstream horror, with big name guests and wall-to-wall convention traffic. But if you're waiting three hours in some line to see one celebrity, aren't you missing out on everything else? With that in mind, we focus on the films and the creators, and I think that's different from most. Also, in addition to the two screening rooms and the convention, we have film lectures, live competitions for effects artists and "scream queens", and networking parties. There's a lot to choose from at the event. MMM: How has the convention changed over time? 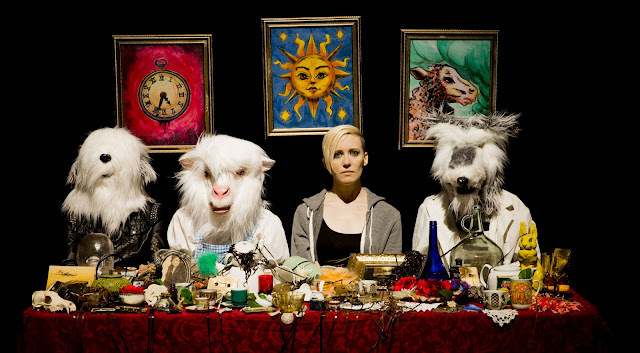 KM: Horror Hotel branched off from The Indie Gathering International Film Festival,now in its 20th year, when we recognized the market for horror films and saw the quality of films we were receiving in those genres. It started out as just a one day event. The next year it grew to two days. This year and last, it’s been a full weekend. We've also expanded our film lineup, added more elements to the event, and have grown a lot more each year. MMM: Tell me a little bit about yourself and the other convention managers. KM: I'm a producer and actress. I started out working in film 11 years ago, specifically in acting, and slowly grew to understand the filmmaking process and worked my way to the other side of the camera. I still act, but I also write, produce, host and do stunts. Five years ago, I came on board as the festival producer for The Indie Gathering, co-founded “Horror Hotel” the following year, started up The Reel TV Network with my partner Ray Szuch, and work on various film and TV projects. I also host two shows, "Horror Hotel" (a hosted horror show tied in with the event) and "The Reel Show" (an indie film show). Ray Szuch, the festival director, has worked in the film industry since the 1970s. He started out in stunt work, and eventually went on to stunt coordinating, directing and producing. He has three Emmys for his producing and stunt coordinating work and has worked on myriad projects. He founded The Indie Gathering and Horror Hotel and is festival director of both. He's really the go-to guy for indie filmmaking in the Midwest. MMM: What should attendees absolutely know before coming? KM: Just be prepared to have a good time and a looong weekend. Once we start Friday at 6 p.m., there's really no stopping until it's over on Sunday. It's a long weekend, but it's a really fun one. Since there is so much going on at once, I definitely recommend trying to get an idea of what you want to do before coming. Check out our schedules, because it's easy to get swept up in everything else and forget what you wanted to see! Also, if you work in the film industry, bring a lot of business cards, because there are a lot of great people to network with! MMM: How can someone get more information? KM: The best way to find out more is to go to www.HorrorHotel.net. We're also on facebook, www.facebook.com/HorrorHotelFilmFest. Bipolar Behavior, by Thomas Hector Eduardo, starring Christina Rapado. The horror opera that tells the story of a psychopath nurse who takes advantage of patients and experiments on them with rat blood. Day Zero. An episode of the web series, by Cal Nguyen will screen. 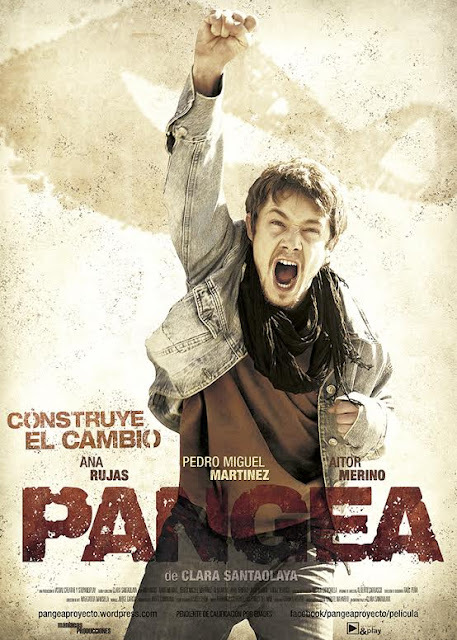 The post apocalyptic series is in its second season. Territorial Behavior, by Peter Bergin. Territorial Behavior tells the story of Bailey Rhodes, a survival instructor with over 10 years of outdoors experience, who ventures into a remote area of Montana to shoot a tutorial video. There, he encounters poachers who take issue with his presence. Rhodes becomes embroiled in a desperate life or death struggle in which he discovers that the reality of survival is very different to what he's been teaching in the classroom. 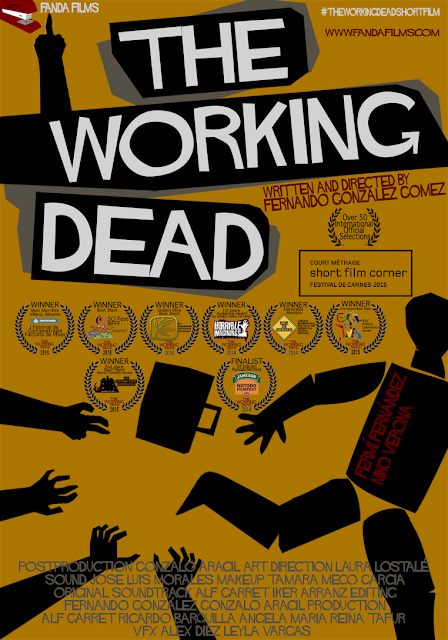 The Working Dead, from filmmaker Fernando Gonzalez Gomez. Faces, from Tom Ryan. Catch the trailer here. 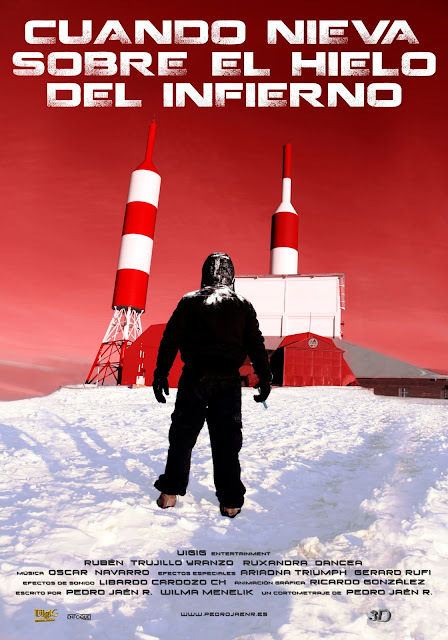 Cuando Nieva Sobre el Hielo del Infierno from filmmaker Pedro Jaén R. Check out the promo material here. Human Resources from Keil and Aaron Troisi. The film follows a woman who lands a new job only to discover there’s something sinister beneath the mundane facade of this skyscraper she works in: the building is haunted by victims of the corporation’s exploitative business practices. Unable to ignore injustices embodied by the disembodied, she sets out to reveal the truth and stop the company before they kill again. Stella by Ainhoa Menendez. Check out the trailer here.